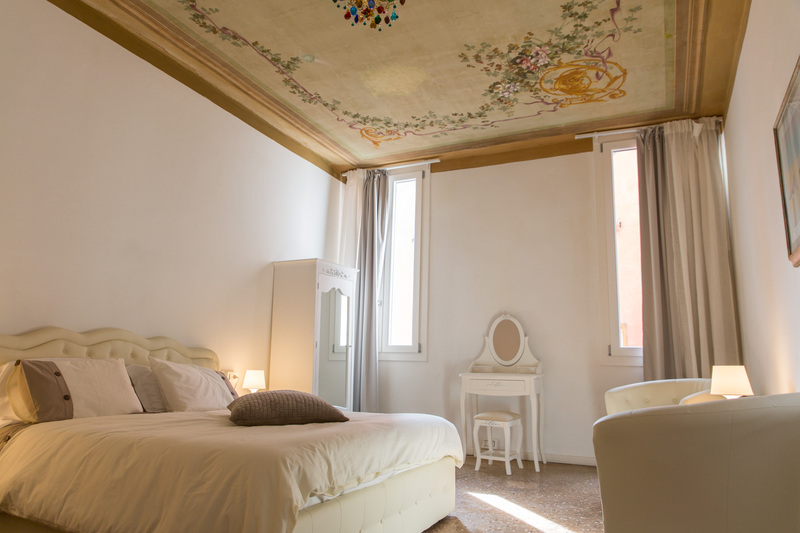 CASA TRECENTO APARTMENT is a lovely and artistically decorated one dedroom and one bathroom apartment set in a 14th century building. 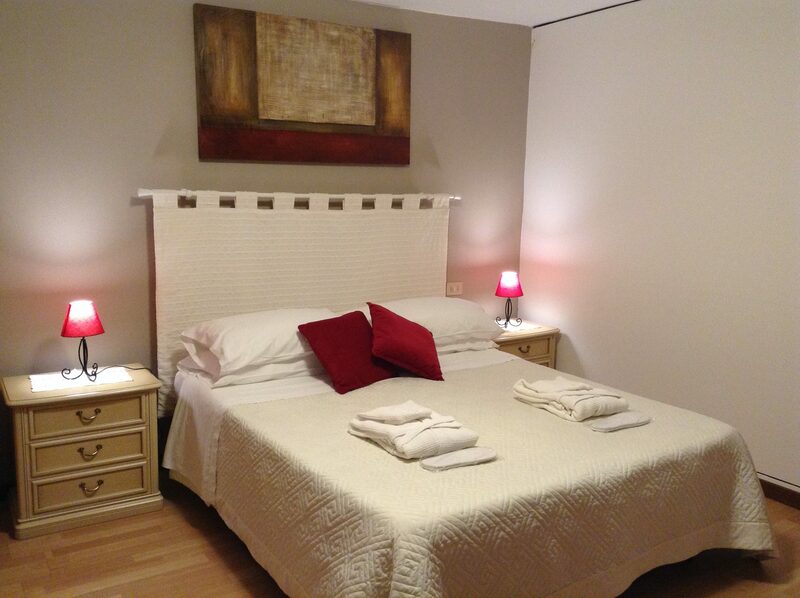 You will be just steps from Rialto bridge and from most of Venice famous landmarks. Perfect place for couples and lone adventurers. 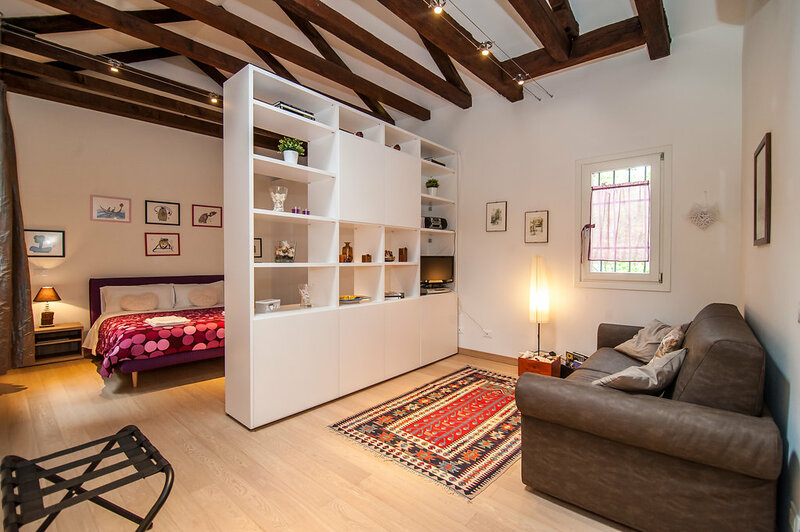 COSY NEST APARTMENT is a bright and recently renovated place, steps from the historical Jewish Ghetto and from one of the liveliest fondamenta of the city, plenty of little typical restaurants and wine bars. The apartment is extremely silent, as it is situated on the 1st floor of a building overlooking a small inner garden. LOFT BLENNER used to be the atelier of a painter. It is set in a building of historical interest with a Gothic courtyard hosting a 15th century staircase and well. The main terrace of the loft overlooks a canal (with gondolas passing by) and has a beautiful view of SS. Apostoli bell tower. 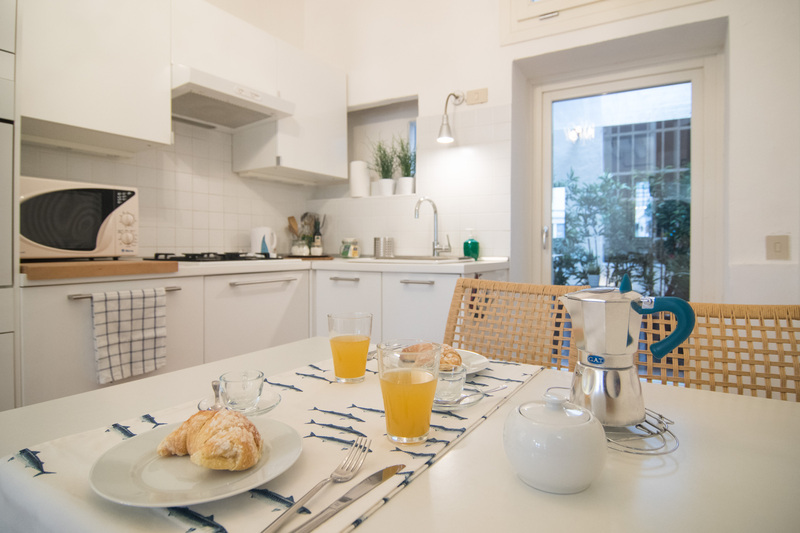 BIANCO 3 APARTMENT is located in a very lively area, steps from the Biennale, at a 10 minute walk from St. Mark’s Square and two waterbus stop away from the Lido beaches. It is also close to a large public green area (Giardini and S. Elena Park) making it an ideal base for open-air activities. RESIDENZA MIRACOLI is a charming apartment, decorated in soft tones and comfortably furnished, located at an easy walk from Rialto and steps away from one of the most beautiful churches in Venice, the Miracoli Church. 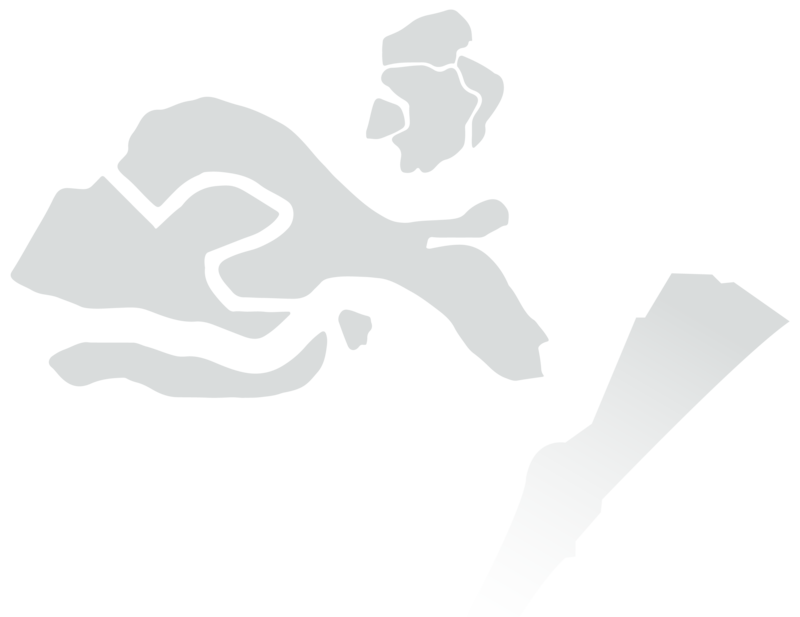 BIANCO 4 APARTMENT is a bright two bedroom apartment set on a two-storey building located at a 3 minute walk from the Biennale Art Exhibition. It is also close to the largest public green area (Giardini and S. Elena park) and two waterbus stops away from Lido beaches. 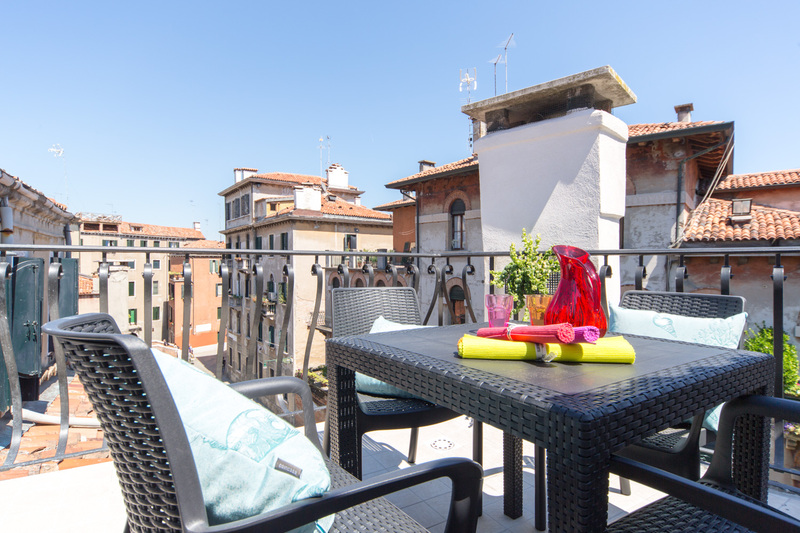 GIARDINO SEGRETO APARTMENT is a two bedroom apartment with a beautiful roof terrace overlooking a canal. This elegant apartment is set in a building that used to be a monastery and it is at a 10 minute walk from Rialto. Cozy, silent and bright, it is a perfect place for a family or for a group of friends. PENTHOUSE SPECCHIERI is a very elegant apartment, equipped with all comforts and ideally situated in a central position. It is set on a 4th floor of a building steps away from the famous St. Mark’s Square. 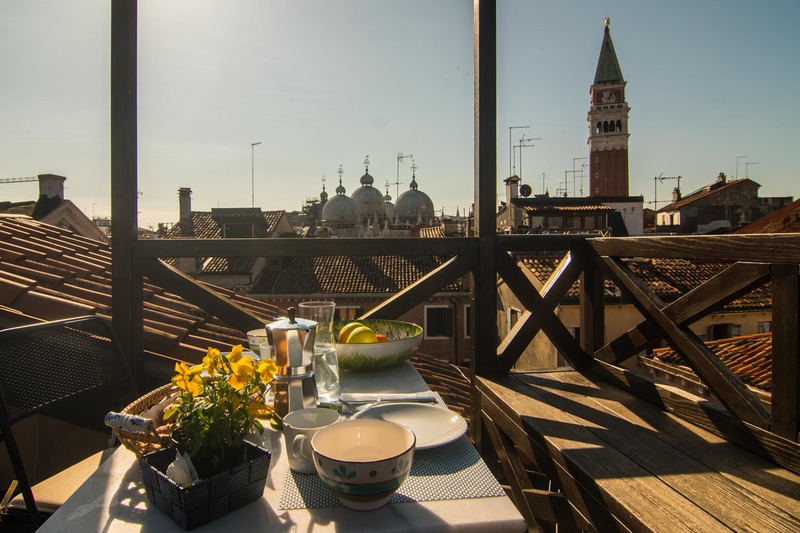 It has a private terrace with a stunning view of the domes of St. Mark’s Basilica and its bell tower. Free Internet access available throughout the apartment. 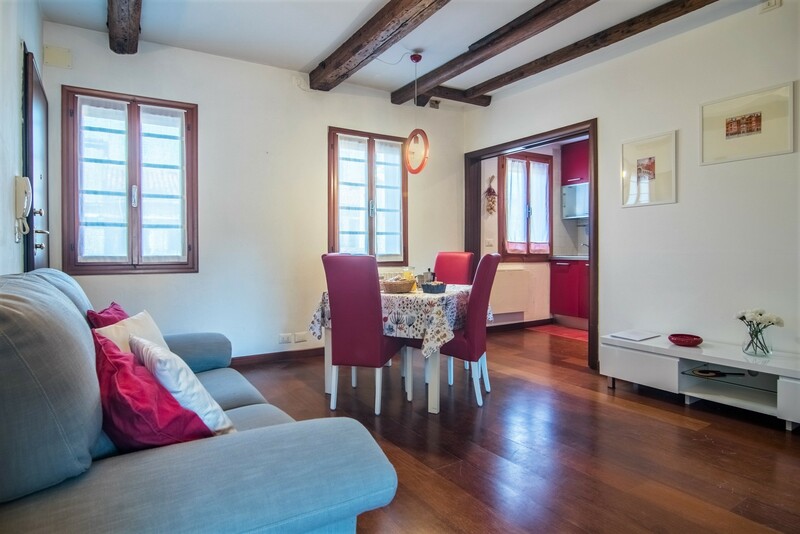 CA’ VERNIER APARTMENT is a two bedroom elegant apartment featuring frescoed ceilings. The building is located in the centre of the city, steps away from Rialto Bridge, but in a very quiet and silent street. 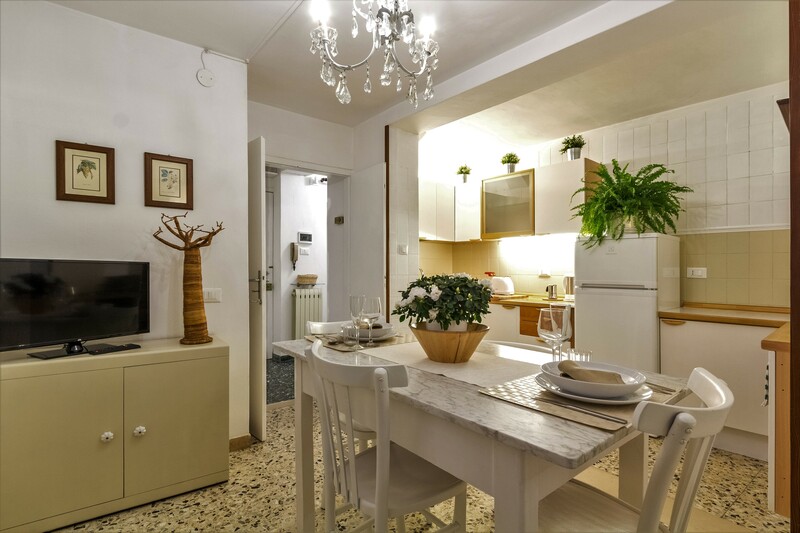 CA’ LINA APARTMENT is a two bedroom apartment located in the centre of the city, steps away both from Rialto and St. Mark’s Square. Large and comfy, it is ideal for families or groups of friends. 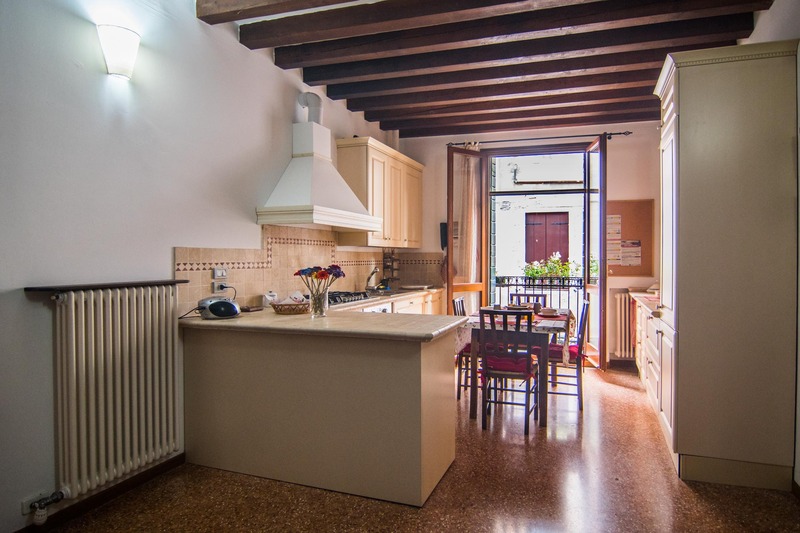 TRUE VENICE apartment is located in the lively and not touristy area, in an enchanting little campiello close to Rialto. 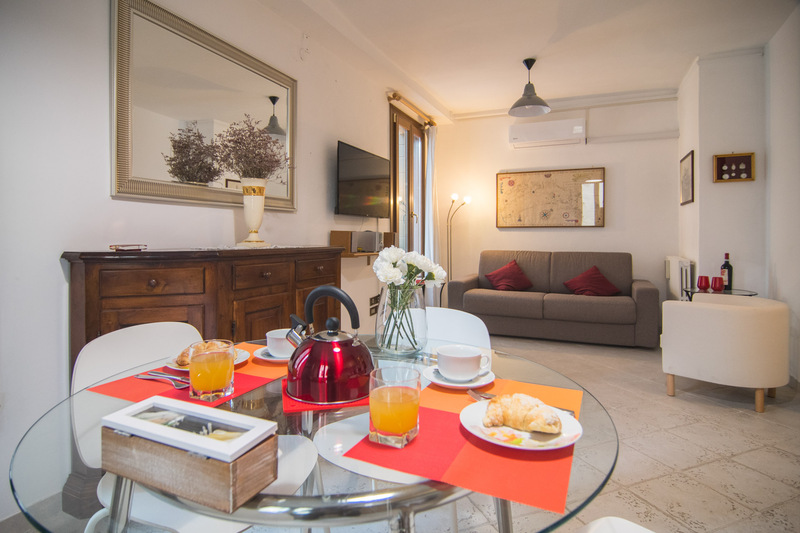 Comfortable and recently renovated, the apartment has an independent access from the inner courtyard of a palace. 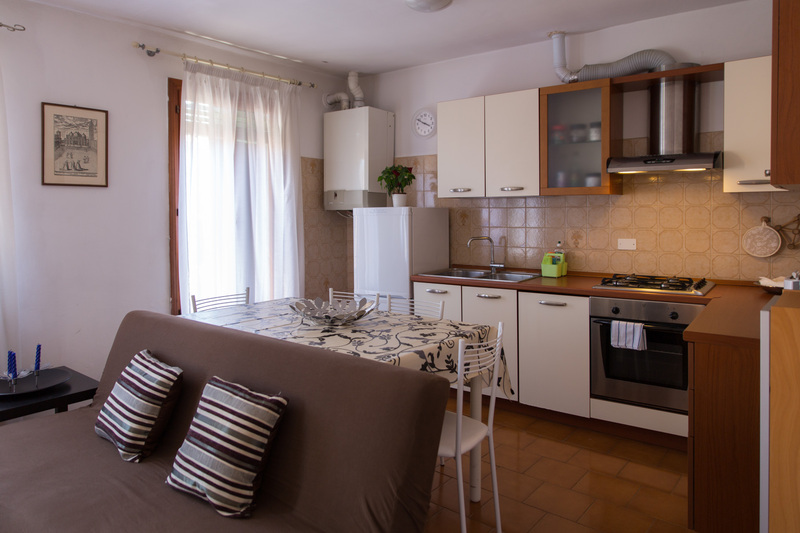 CASA MORESCA is a cozy and comfortable apartment located close to Rialto. Bright and recently renovated, it is set on a 1st floor (the one above the ground floor) and has an independent access. The location is ideal, close to the main attractions. Room with a lovely view on the canal below where gondolas pass by. 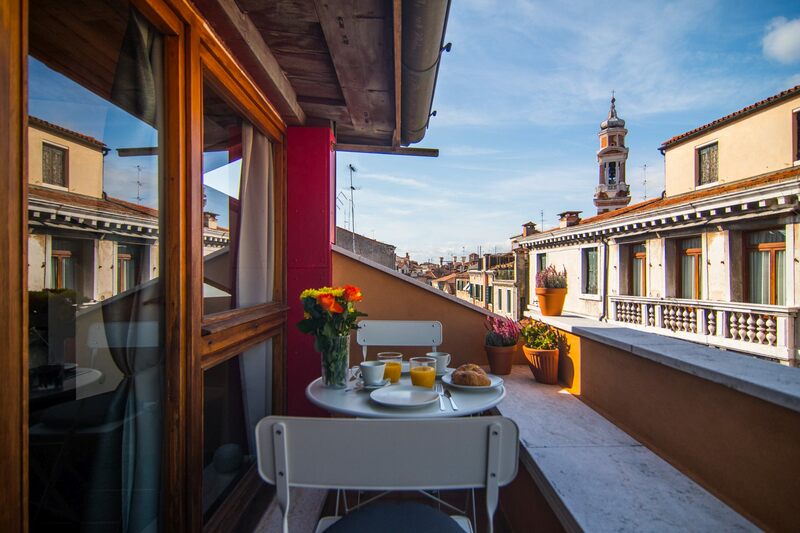 This charming B&B in the heart of Venice (Cannaregio district, an easy walk from Rialto) is top rated on major booking engines. Free Wi-Fi access throughout the B&B. Romantic bedroom with skylight and private external bathroom. 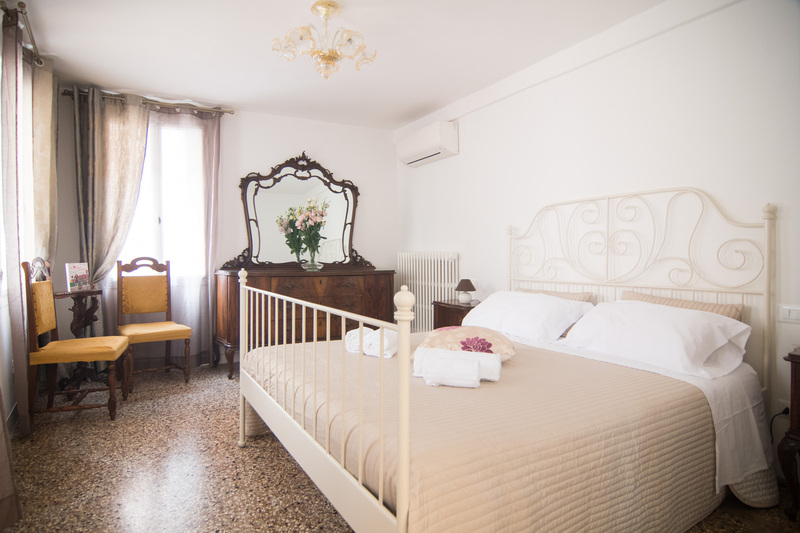 This charming B&B in an historical building located in the heart of Venice (Cannaregio district, an easy walk from Rialto) is top rated on major booking engines. Comfortable and quiet room with a lovely view on the canal below where gondolas pass by. 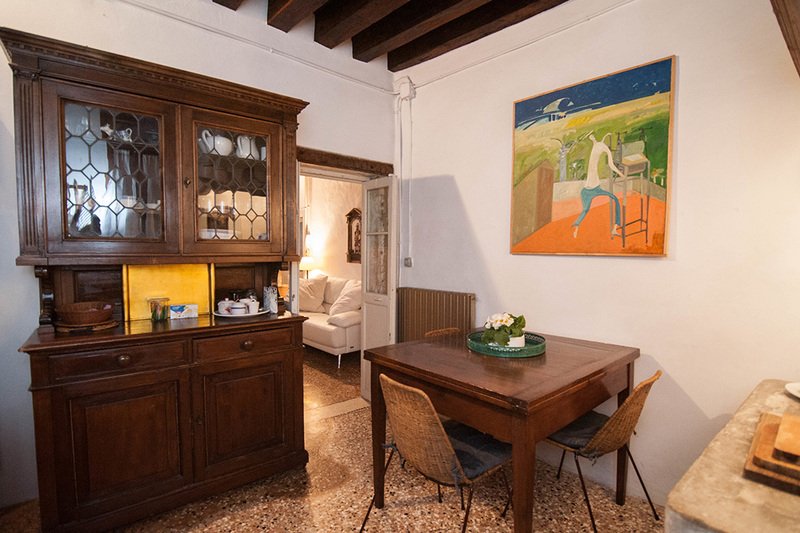 This charming B&B in an historical building located in the heart of Venice (Cannaregio district, an easy walk from Rialto) is top rated on major booking engines.